In mid-October, Russian airborne troops will be sent to the north of Africa on an Ilyushin Il-76 aircraft. Airborne troops of the two countries will get together in mid-October to practice operations aimed at destroying militants in a desert environment. 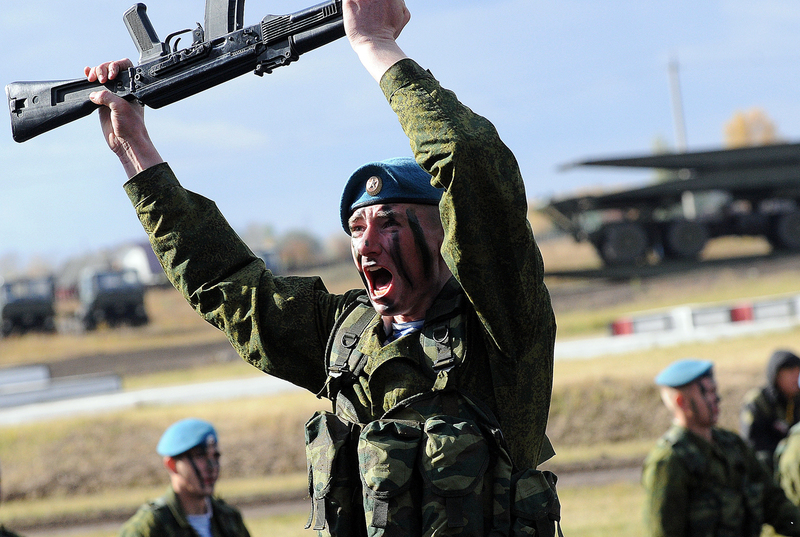 Russia and Egypt are to hold their first ever joint military exercise in mid-October. Experts believe that training in preparation for an anti-terrorist operation "in a desert environment" is a demonstration of the capabilities of Russia’s rapid-response forces amid the ongoing conflict in Syria, as well as evidence that Cairo, in case of the deterioration of the situation, is counting not only on Washington, but would also like to enlist the support of Moscow. The paratroopers' joint exercise in Egypt will involve six airfields and 15 aircraft and helicopters for various purposes, as well as 10 combat vehicles, the Defense Ministry has announced. In mid-October, Russian airborne troops will be sent to the north of Africa on an Ilyushin Il-76 aircraft. The Russian military will go to Egypt dressed in a new uniform for a hot climate. Sessions on language preparation, tactics and orientation are already being held at training ranges and in classrooms. "Special attention is given to the knowledge of the customs and traditions of the Egyptian people", the Defense Ministry said. It will be the first ever joint military exercise of paratroopers from the two countries in Egypt, the department stressed. They will develop a common approach to encircling and destroying illegal armed formations in a desert environment. This scenario is more than relevant for Egypt, said Vladimir Isayev, a professor of the Institute of Asia and Africa at Moscow State University. Part of the territory of Egypt, in the north of the Sinai Peninsula, is no longer controlled by government forces, and Cairo is no longer able to count on Washington's support in this matter, he pointed out. According to Isayev, if the terrorist organizations that are operating in Sinai will try to expand the territory under their control, the army would like to count on Moscow's support. "It is unlikely that it is paratroopers that will participate, but as for the Russian Aerospace Forces, it is quite likely," he said. A year ago, a Russian A321 airliner operated by Kogalymavia exploded in the skies over the Sinai Peninsula on its way from the Egyptian resort of Sharm el-Sheikh to St. Petersburg. All 224 people on board were killed. Russia's security services classified the incident as a terrorist attack. Almost immediately Moscow completely suspended air traffic between Egypt and Russia. Negotiations about its gradual resumption are now underway. The Foreign Ministry declined to comment on the Russian-Egyptian exercise in this context to Gazeta.ru, stating that "there is no political motive here." Moscow and Cairo has been recently building a very close and trusting relationship, according to retired Colonel Viktor Murakhovsky. This is evidenced by the purchase by Egypt of France's Mistral helicopter carriers with pre-installed Russian equipment, which were originally destined for the Russian army, he said. In addition, according to experts, Moscow is demonstrating its ability to form expeditionary groups at short notice and transfer them to the desired area. "It's worth considering the proximity of Egypt and Syria," said Murakhovsky. "Russia shows that, if necessary, it will be able to deploy a sufficient number of its troops, which are part of the reserve of the Supreme Command and belong to rapid-response forces." Egypt is the main U.S. ally outside NATO and annually receives hundreds of millions of dollars’ worth of weapons from Washington. A total of $1.3 billion has been designated to assist Egypt for 2017. The U.S. provides the Arab republic with Abrams tanks, F-16 fighters, helicopters, and also carry out maintenance of this equipment. But it is unlikely that Washington would respond to the joint exercise between Moscow and Cairo, said Semyon Bagdasarov, director of the Moscow-based Center for the Study of the Middle East and Central Asia. "Egypt is a strategically very important country for the U.S. – America's relationship with Israel and how in general the U.S. will be treated in the Middle East depend on the Egyptians. Plus, control of the Suez Canal," said Bagdasarov. What is more, this is not the first Russian joint exercise with U.S. partners. For example, Russia and Pakistan are currently holding a joint exercise in the Pakistani village of Cherat. It involves about 200 servicemen who will exchange experiences on the destruction of terrorists and armed groups in a mountainous environment.